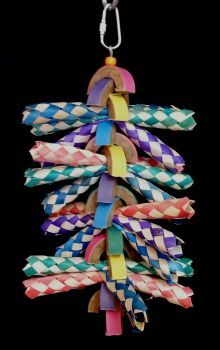 A tower of halved fatty bagels alternating with triple tiers of finger traps make this toy a blast! Stuff the end of the finger traps with your bird's favorite treats to create foraging fun. Dimensions (LxWxH): 8.50 x 4.00 x 4.00 in. 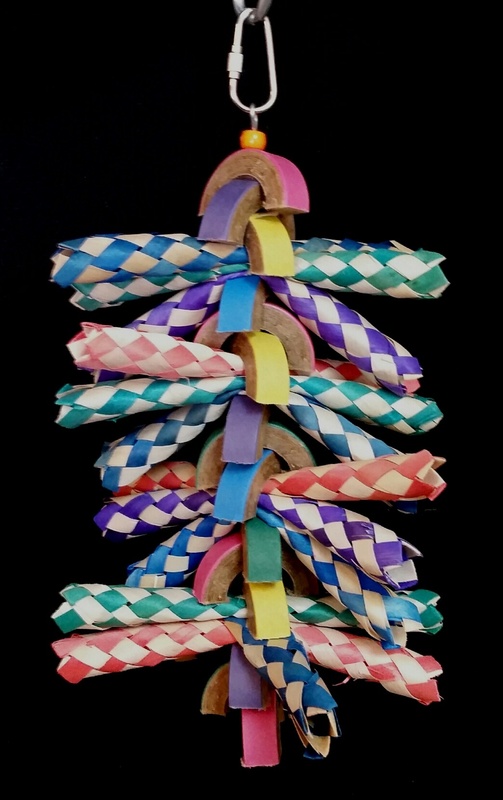 Notify me when Finger Trap Sensation-Bird Toy Creations is in stock.